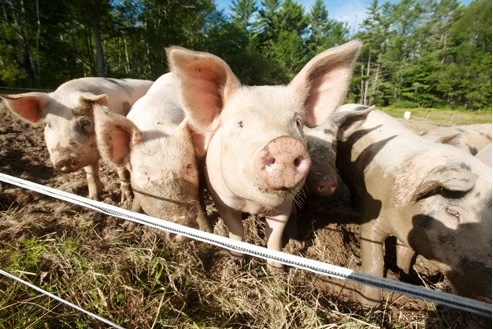 At ThaMa-Vet we’re very excited about our innovative swine syringes line. The new customized line has been trialed with great success at select customer sites. This fixed-dosage vaccinator was developed in response to a growing demand for a durable automatic swine syringe system that could also operate with granular substances. Our R&D team set out to replace existing plastic-based syringe systems with a new metal-based injector that could deliver swine vaccines and last the distance. For the first time, syringe injection teams will be able to work with a highly reliable and safe swine vaccinator without the need to pause production. We expect to see significant savings in time and costs and considerably less maintenance . Being animal-friendly and ergonomically designed for ease-of-use, the new ThaMa-Vet swine vaccinator offers a humane solution and provides reduced production fatigue. The outset is a reduction in sores and syringe-related injuries. The pure properties of glass and metal also ensure that vaccination procedures can be performed with confidence, without risk of chemical interactions that can be associated with plastic syringes. The swine syringe line features the single 263 and the 253 double options. It comes with a three-in-one piston set.